Hey. There is Mobile Worker app! Mobile Worker makes your work easier and more productive. 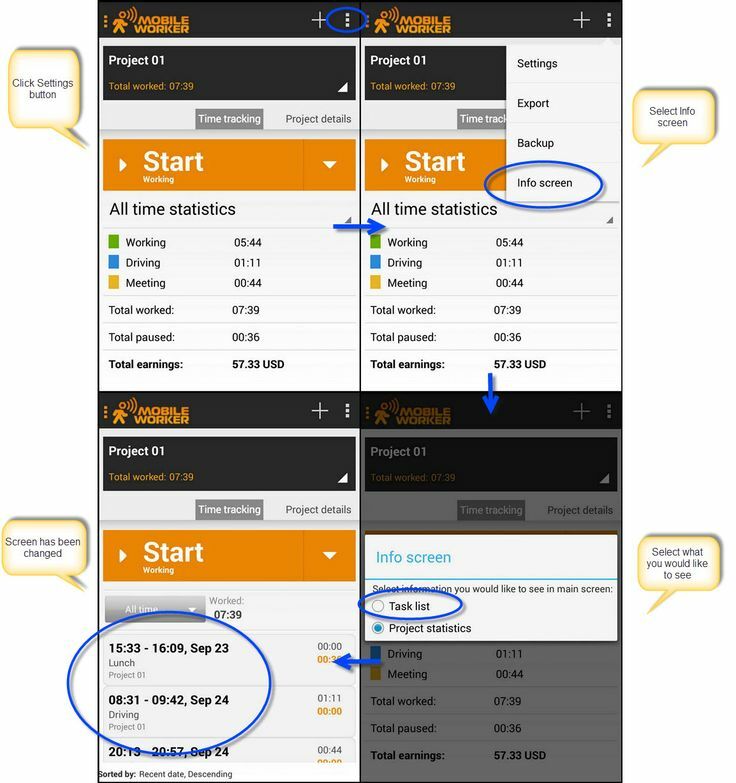 Track work time, collect important project information and documents, and keep detailed tasks and job records. This App is perfect for independent contractors and freelancers and takes away the worries of time tracking, document management, and record keeping. Last edited by Mobile Worker on Thu Oct 10, 2013 7:51 am, edited 1 time in total. Test it! Also check newsletter about freelancing, Android news and Mobile Worker app! http://goo.gl/fsxzoX Don‘t forget to subscribe. 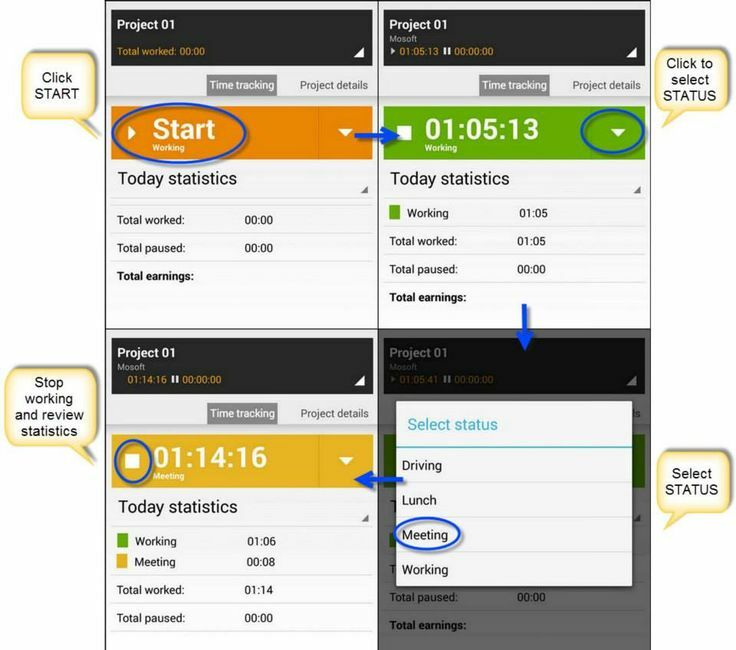 We have just release the 2.1 Mobile Worker app version! Thanks for good comments! You can follow us in social networks to get latest news! Just one button push to start working! You can easily adjust what you do on a task by simply changing the status! Configure what you want to see on your initial work screen. Check what you can see and how to change it! Check Mobile Worker newsletter goo.gl/ZMU9Yn. Don‘t forget to subscribe!